In the middle of our park are four Olympic performance trampolines. 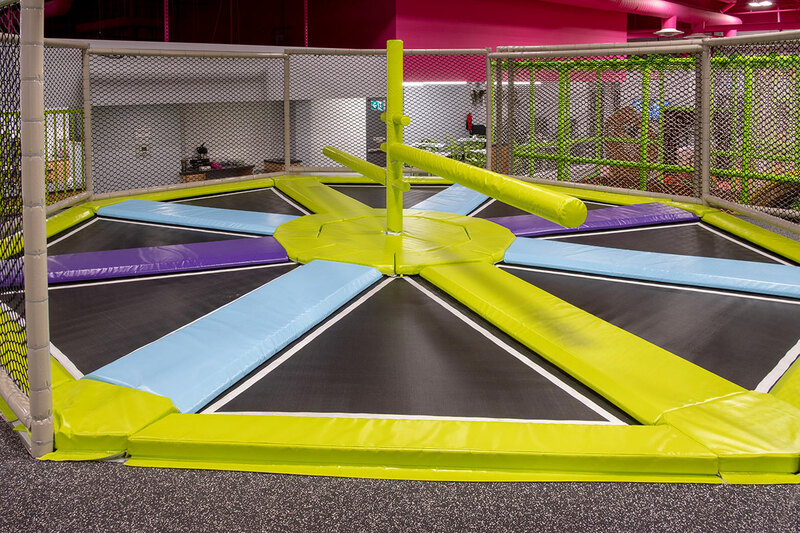 These are super trampolines that give you maximum jumping height and are for experienced jumpers who are over 5 feet tall. This area of the park is high energy and great for groups to enjoy. Bring your own team or create one with new friends. Our staff is here to referee a game or give tips on improving your skills! 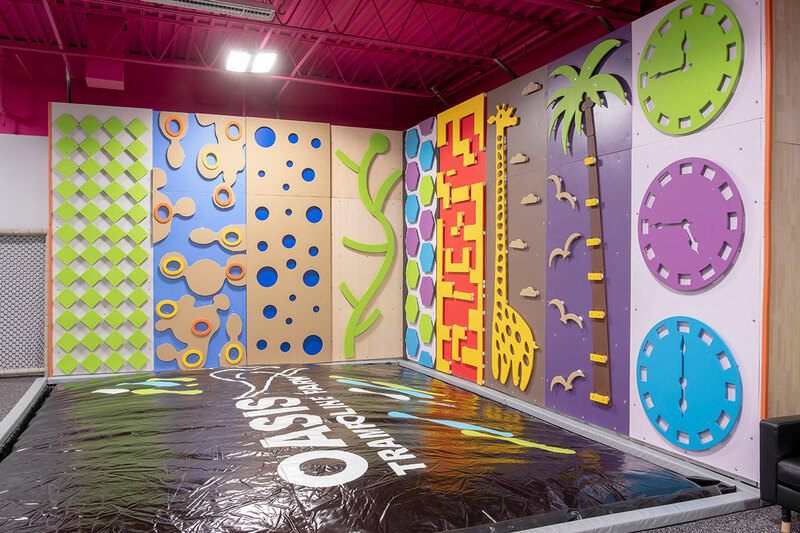 Free climb our colourful climbing wall! Don’t worry, any falls leave you comfortably cradled in our safety airbag underneath. Challenge a friend in the ultimate game of strategy, endurance and speed! This exhilarating activity will tire out even the most elite of athletes. Get ready to push yourself to the next level! The ultimate test in balance and grace, our slack line and rope ladders require core strength, steadiness and patience! Perfect for our basketball enthusiasts, we offer three levels of net height. Master the art of the perfect shot! 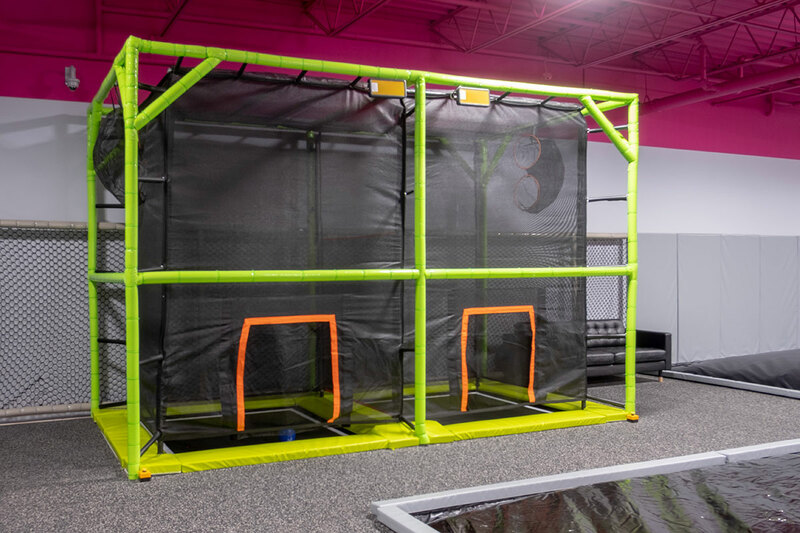 6 suspended obstacles run the gamut of strength, balance, focus, force and grace. 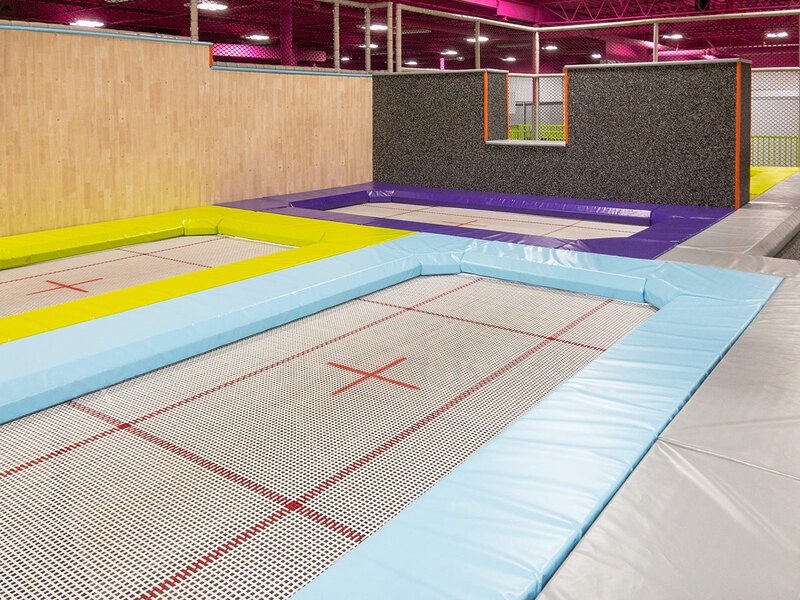 Take a fall into our soft foam blocks and try again until you can claim the title of Ninja Warrior! 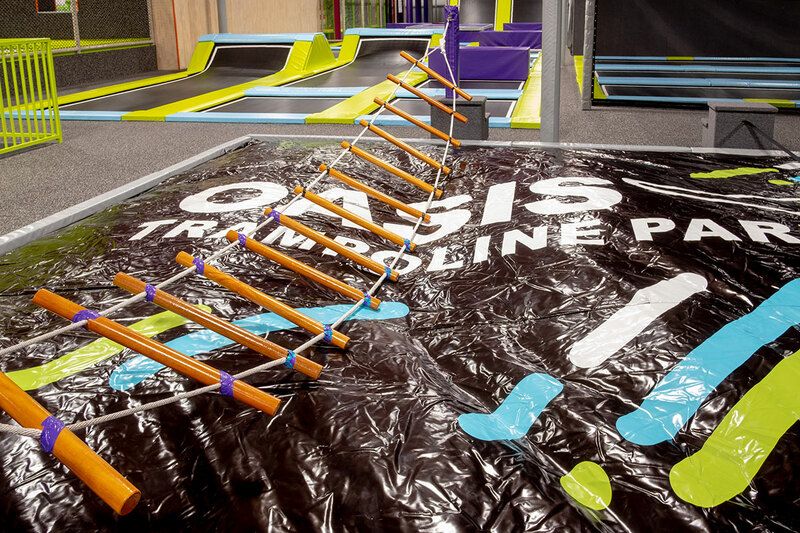 This challenging sweeper experience is an Oasis Trampoline Park exclusive. It’s time to test your strength, agility and stamina! As part of the entire family experience, we have a designated soft play area for our smaller guests to enjoy. This area provides a gated entry with the peace of mind knowing your little one is surrounded by age-appropriate equipment and equally small playmates.